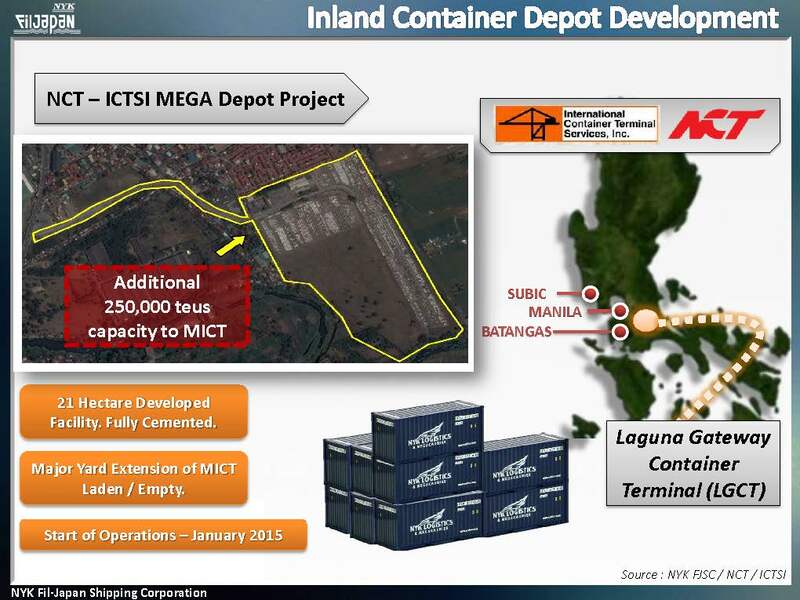 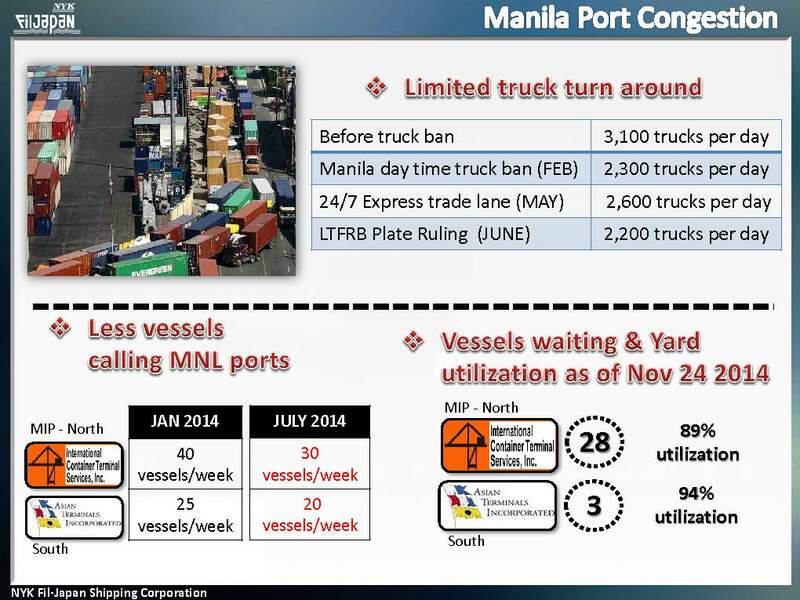 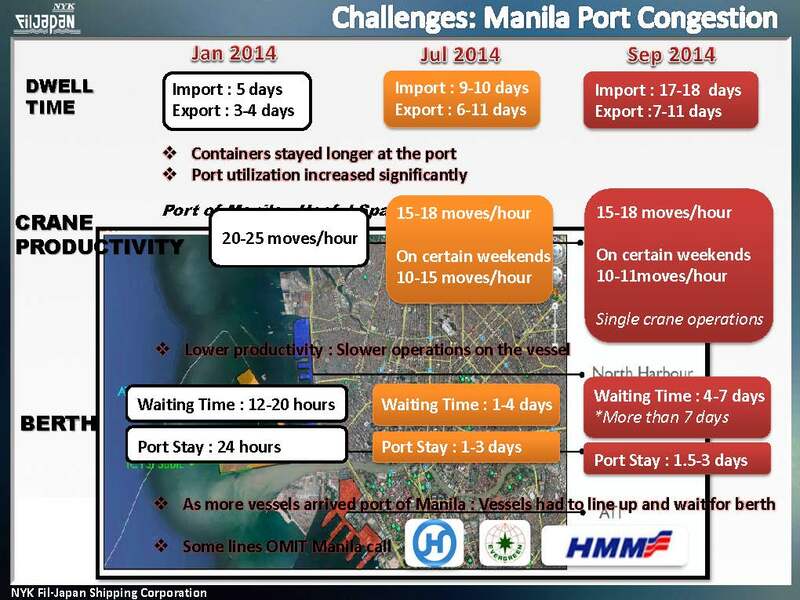 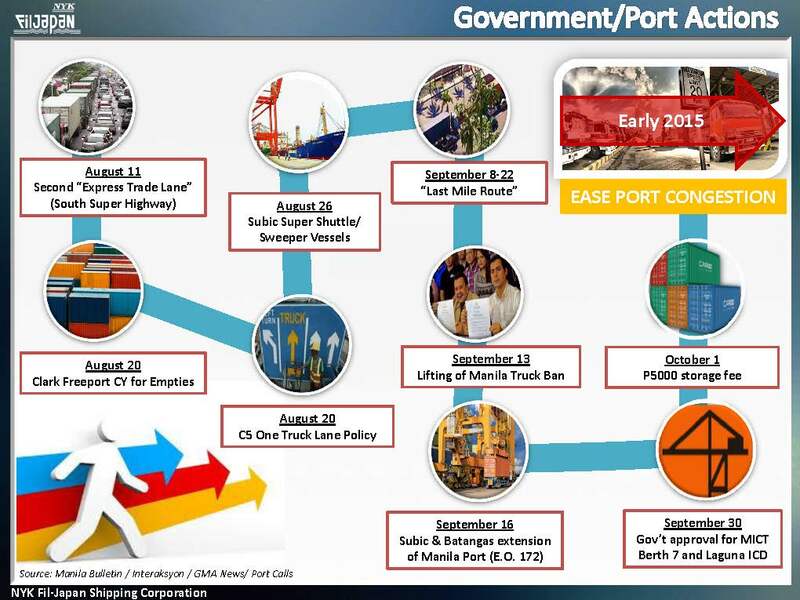 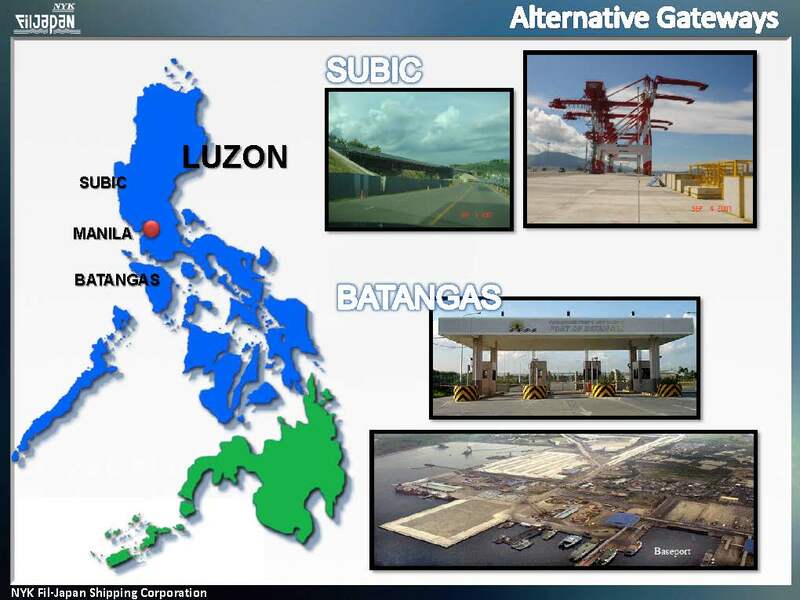 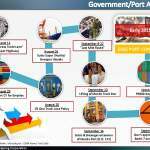 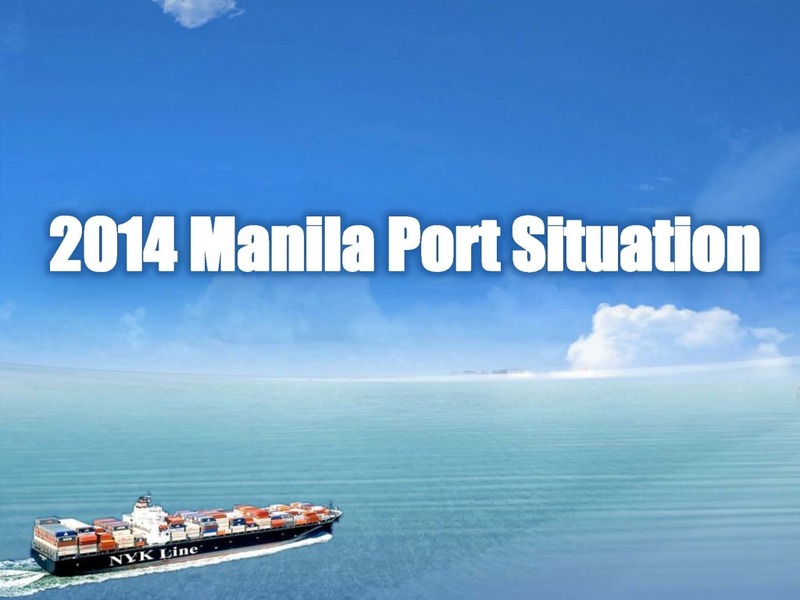 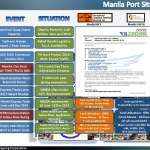 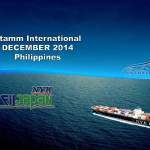 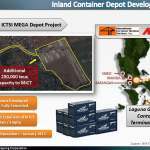 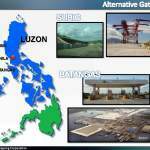 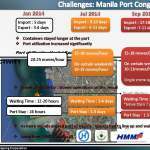 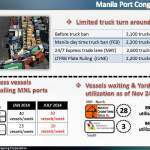 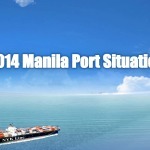 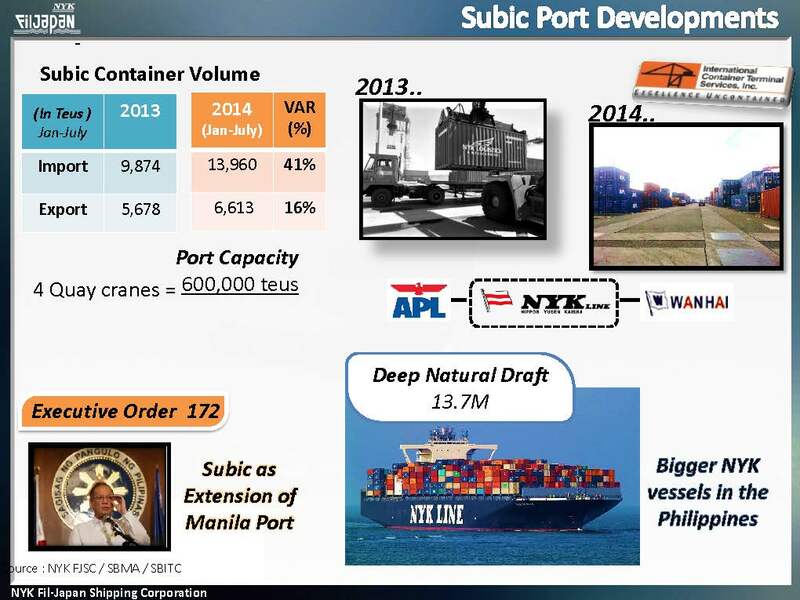 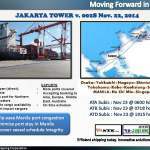 The conditions at Manila port are still very serious and far from over. 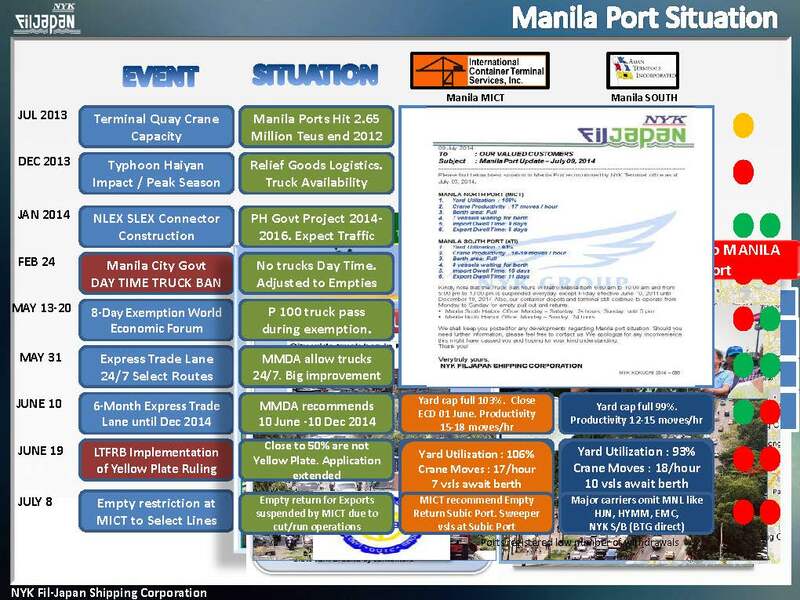 Manufacturers suffer massive delays to get their raw materials however also export is affected. 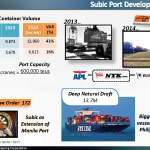 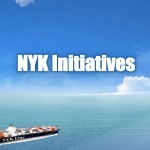 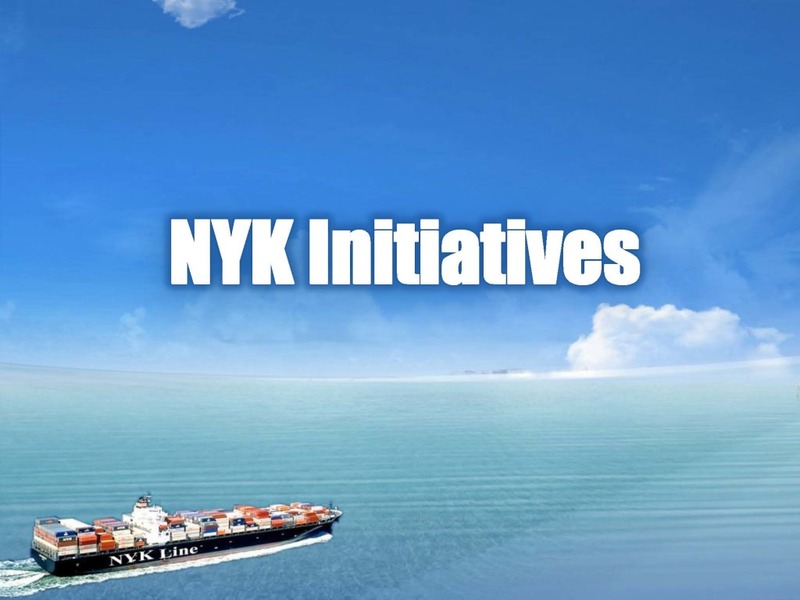 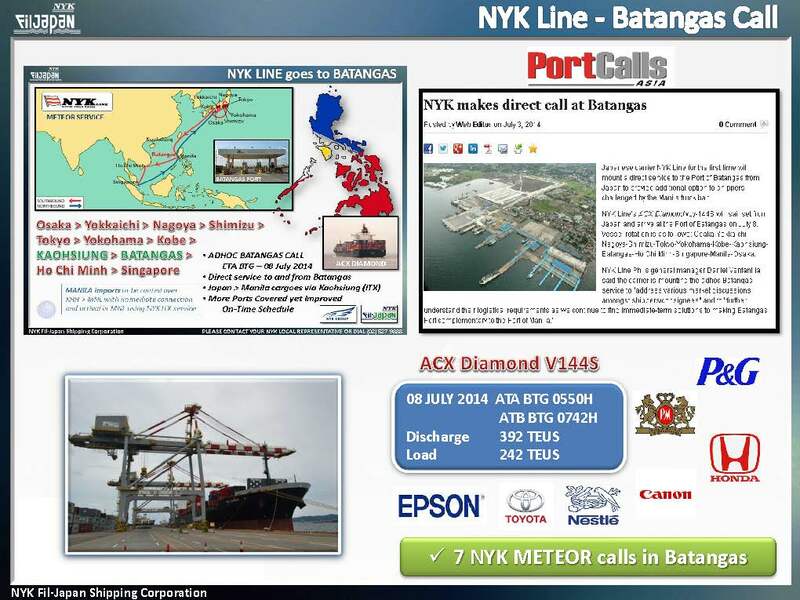 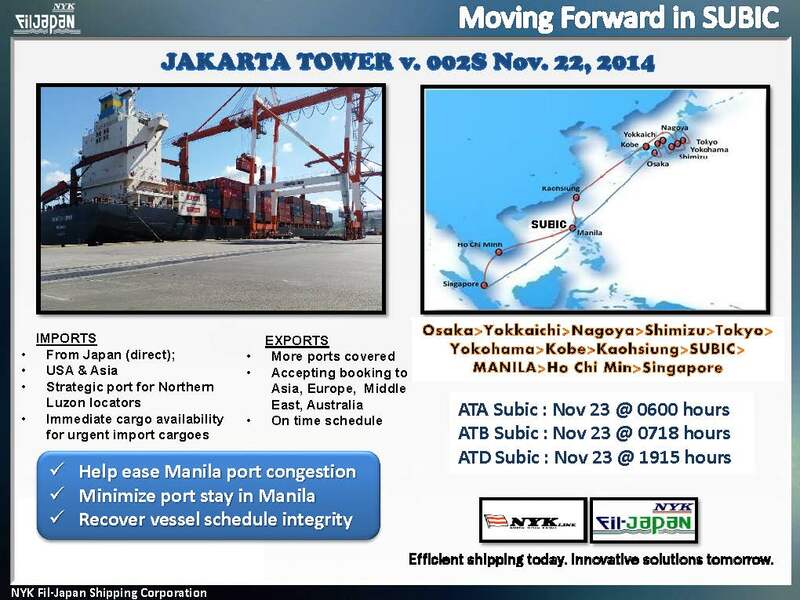 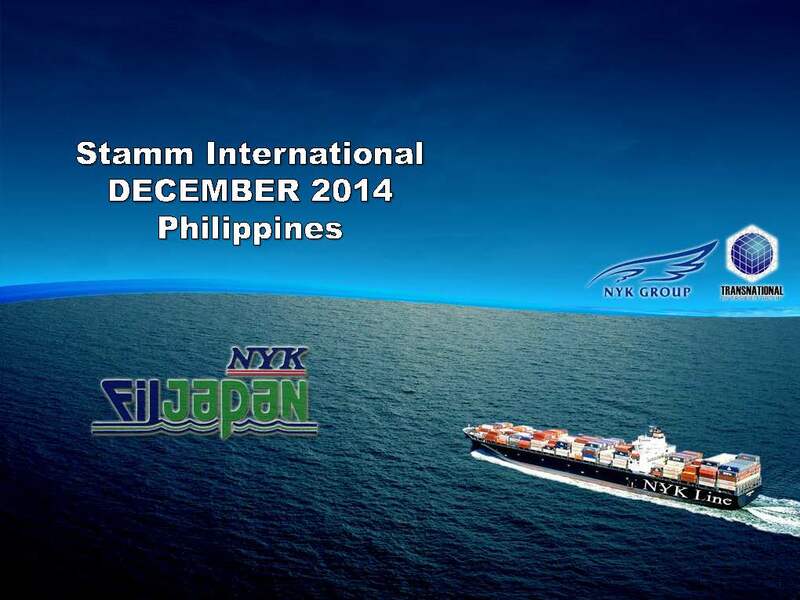 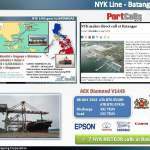 Please refer to a presentation by NYK explaining the situation.